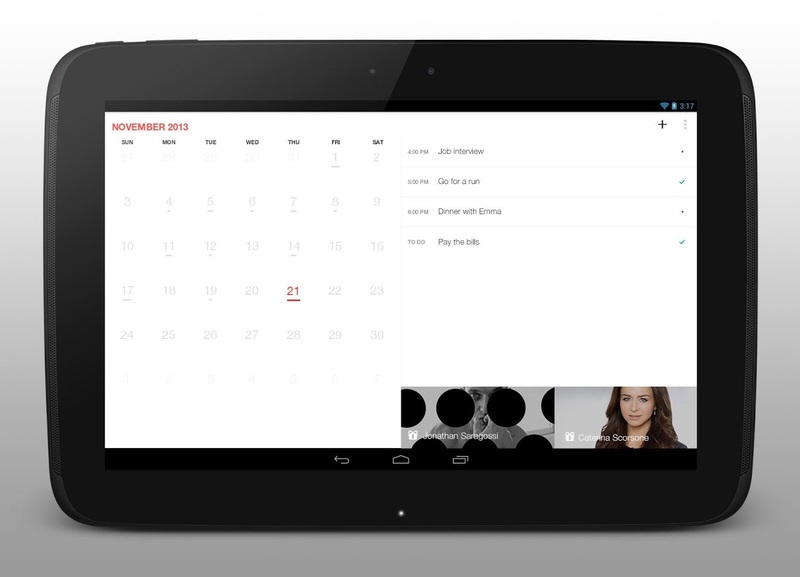 Cal is a free, simple & smart calendar app for your Android. With a fast, intuitive and beautifully designed interface, Cal is the only Calendar app you’d want to have on your Homescreen. ■ All your calendar events will come to life beautifully with smart maps, contacts, apps and social integrations. ■ New day, Every day – Each day starts with a fresh & gorgeous photo to celebrate the day in a fun way. ■ Daily Planning made simple. By connecting Cal with Any.do you can check out your Any.do tasks for the day. ■ It’s always someone’s birthday. Write on your friends wall, buy a gift, make a call, or send them a message. It’s really easy. ■ Scheduling made easy – Simply jump to a specific date from the month view or swipe to next week. ■ They let Any.do do the heavy lifting. Cal syncs with Any.do and automatically takes care of your ever-evolving to-do list without having to plan for the same thing twice. It interprets your day so you don’t have to – just the way smart apps should be. ■ They do more than just plan – they celebrate! Contact, location, and social integration allows you to send messages and plan festivities right in the app itself. ■ They get the most out of each day by finding extra time for the ‘good things’ in life. Cal helps you take advantage of the extra minutes and hours interspersed throughout your busy day. People who use: Evernote, Colornote, Dropbox, Box, Jorte, Go Calendar, Android Calendar, Business Calendar pro, Outlook, Exchange, iCloud, aCalendar+, Sunrise, Sol Calendar, Tempo, Fantastical, Google Keep, Google Calendar, Google Tasks, and Wunderlist – would LOVE Cal!